I get a lot of questions about energy medicine… In a nutshell…. Energy Medicine is based on physics rather than biochemistry. Physics is the study of energy. You remember from high school? Physics does not override biochem. It DRIVES it! Biology and Chemistry behave according to the laws of physics. The human body is made of energy. ALL matter has energy! IF you have ever had an x-ray, ultrasound, CT scan, MRI, EKG, EEG, EMG, laser surgery, etc… they are all done using energy! Conventional medicine treats the symptoms of a singular body system. My friend, Christina Ross,compares western medicine to auto mechanics, plumbers and electricians. It’s a GREAT analogy. The human body has bones (structure), digestive system (plumbing), and nervous system (electrical). Western medicine treats the body systems separately. If we have a heart problem we see a cardiologist. If we have a stomach problem we see a gastroenterologist. If we have a structure problem we see an orthopedist. Pharmaceuticals (medications) affect the chemical signals in the body and all medications have side effects meaning they affect (mostly negatively) other body systems because they interfere with the chemical signals of the body. Treating the body as if it is just a sum of it’s individual parts is not only inefficient it is often detrimental to the body as a whole. 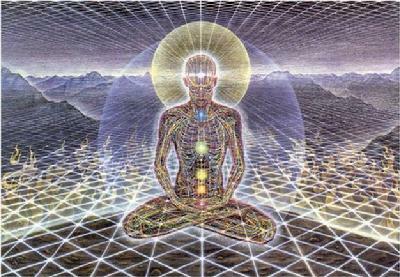 Energy medicine recognizes ALL body systems are connected and strives to harmonize the entire energy system. When the body is in energetic balance, (then and only then) does the body heal itself. 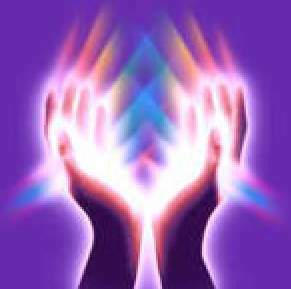 Energy medicine works with the electromagnetic signals of the body. Since every cell, tissue, muscle, bone, organ, blood… every part of the body is energy and therefore sending electromagnetic signals throughout the body – harmonizing them to balance is the most efficient way to heal the body. Since every part of the human body is interconnected and integrated with every other part of the human body – achieving balance in a body system also means achieving energetic balance to the whole. In our culture, we think nothing of getting an X-ray nor do we understand fully how the energy of it works. We get an ultrasound and only care about the results and nothing about the energetics of how it works. We see our heart rate blipping on the monitor screen and don’t understand the science behind the graph. We are just happy to see the activity that indicates we have a beating heart! Measuring the brain waves (EEG) is yet another tool to measure energy waves and determine the brain activity. Each of these examples are an example of using energy for testing or reading the electrical signals within the body. We use these terms nearly every day yet we know little to nothing about the science of these tools which measure the energy within the body. But we do not question the validity! Conventional medicine is newer in comparison to energy medicine. Pharmaceuticals have only been around for the last 60 years. Yet, energy medicine and hands on healing have been see in drawings dating back to 2700 BC. It is well studied and again I remind you…. there are no negative side effects. I’ve been told only Jesus heals… I submit to you that is wholly inaccurate! Every human body has the ability to heal itself. You have healed yourself of cuts, abrasions, broken bones, and many illnesses including influenza, colds, gastroenteritis, headaches, and many other interruptions of the human system. No medicine can cure you. No doctor can heal you. You heal yourself. Healing is made easier and much more efficient when you treat the body as a whole, recognize and harmonize the human energy system, and only use medications when truly necessary. Fortunately, medications are seldom truly necessary! Thankfully, we have the scientific understanding of energy medicine and it is available at our fingertips!